At the International Commission for the Conservation of Atlantic Tunas (ICCAT) meeting currently taking place in Morocco, WWF asks for a total ban of mako (Atlantic shortfin mako shark) fisheries as the population is at risk of collapse. WWF is particularly concerned that the stock is heavily overfished and will continue to decline under the current fishing trend. 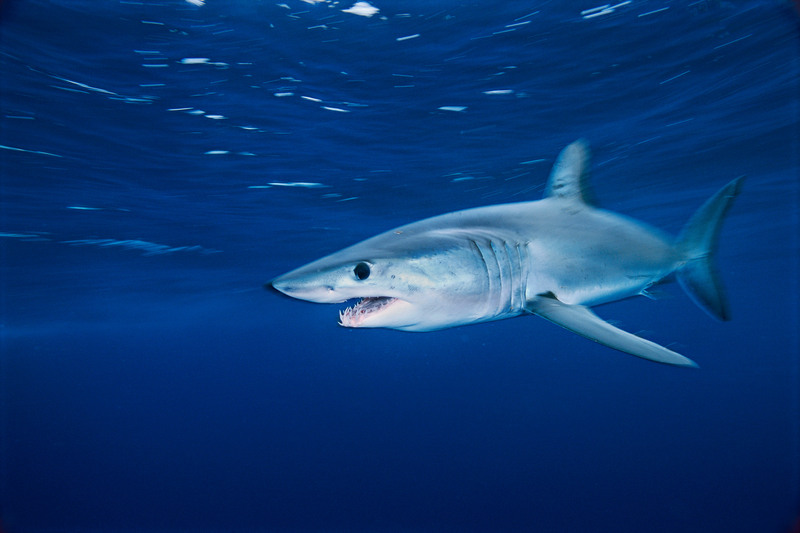 A total ban is the only way to give mako sharks a chance of recovery in the coming decades. Urgent measures to reduce the high number of accidental catches need to be adopted. Blue shark populations could also be at risk in the near future if no measures are taken. WWF recommends that ICCAT immediately sets catch limits to avoid another heavily exploited stock getting into trouble. Better monitoring and control measures are also needed to protect tropical tunas, especially bigeye and yellowfin tunas that nations are fishing beyond the existing allowed quotas. The current bigeye recovery plan won't work if quotas are not respected. WWF urges ICCAT to put observers on all the industrial vessels and improve monitoring systems. WWF's concern is shared by 20 companies representing major seafood retailers and suppliers that source tuna globally that sent a letter to ICCAT, asking for a number of measures to be taken to ensure sustainable fisheries management for all tropical tuna populations. Another important issue is the intensive use of FADs (Fish Aggregating Devices, which are man-made objects – drifting or anchored – specially constructed to attract fish). More than 40 percent of the annual global tuna catch is caught using FADs. This type of gear significantly increases the number of juveniles caught and the accidental capture or entanglement of non-targeted species (bycatch) such as sea turtles and threatened sharks. WWF asks for the use of non-entangling and biodegradable FADs and the adoption of global best practices to reduce FAD-related juvenile mortality and bycatch. In addition, to fight illegal fishing WWF asks ICCAT to prohibit all at-sea trans-shipment.